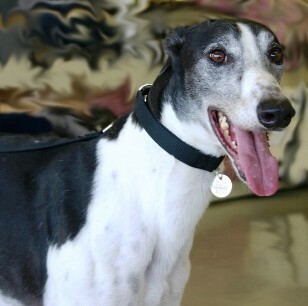 History: Although Staddler had a first place start to his racing career, it did not last long. 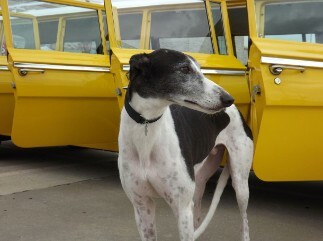 He raced 32 races at Southland and Gulf Greyhound Park, but the racing life isn't for him. 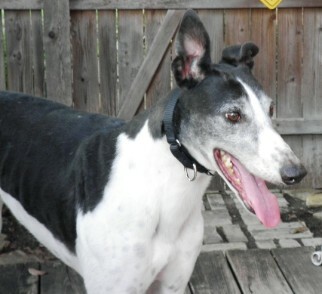 He is a calm, laid back boy that was a favorite of the kennel manager. 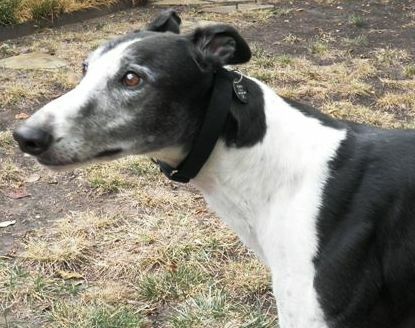 So far his adjustment to soft beds was quick as well as other aspects of home life. 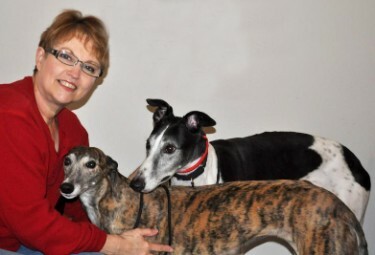 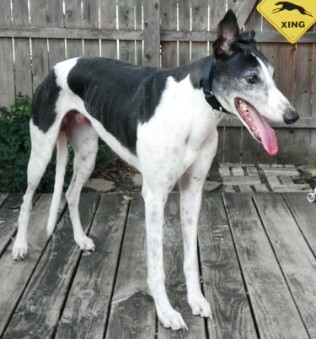 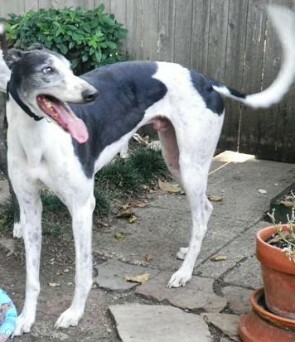 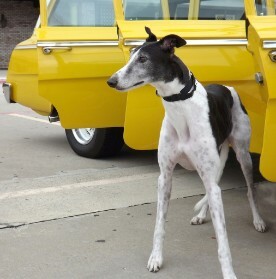 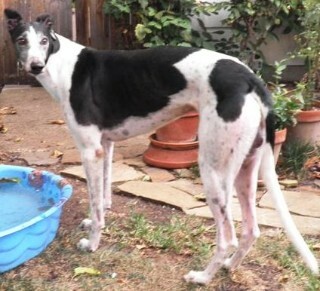 Staddler's new mom, Debbie and Greyhound sister, Gracie! 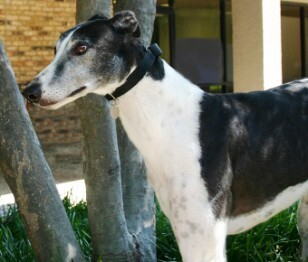 December 21, 2011 update: Adopted!